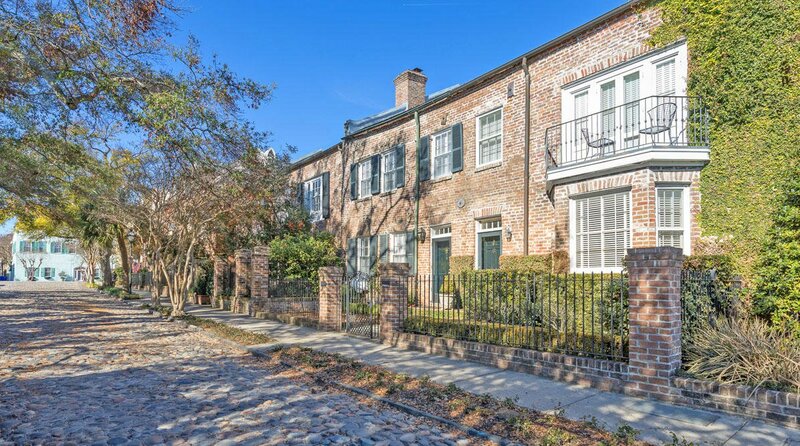 Located on one of downtown Charleston's few remaining cobblestone streets, 6 South Adgers Wharf is a charming townhome in the heart of the city. Originally a warehouse, the 1840 building retains its brick facade and prominent earthquake bolts. Inside, the home has been completely updated to make the most of its space and is move-in ready. Historic heart pine floors flow throughout the living spaces. 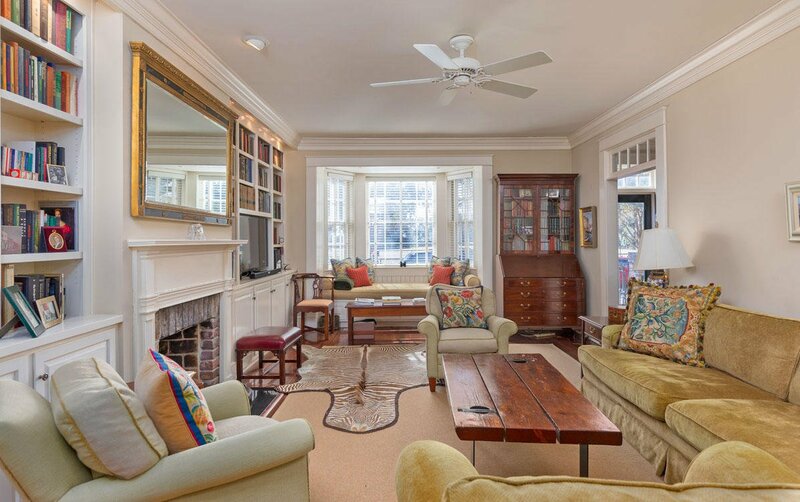 The living room features a fireplace and built-in shelving and cabinets for a library feel. A window seat occupies the front bay window. Glass transoms over the doorways let light flow into the hall and dining room. Crown molding tops the rooms.The completely remodeled kitchen features white cabinets with glass doors, granite countertops and stainless steel GE Monogram appliances includi a gas stove and French door refrigerator. The unique barrel-vaulted wood ceiling frames the arched French doors that open to a private back courtyard. This oasis within the city charms with exposed brick and stucco walls. A half bath tucked under the stairs. Upstairs are 3 bedrooms and 2 bathrooms. The front bedroom opens to iron balcony just large enough for a bistro set to enjoy your morning coffee. An updated hall bath has a stackable washer and dryer closet. The back bedroom has an en suite bath. Both full baths have been remodeled with marble countertops and stylish fixtures. The third bedroom is currently being used as an office. Storage space has been attractively maximized throughout house. 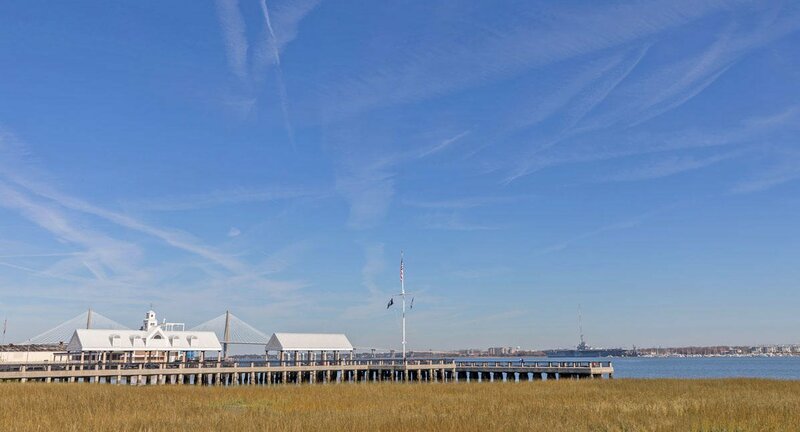 South Adgers Wharf is located within the original walled city of Charleston. (In fact, remains of the Tradd Street redan were uncovered at the corner of South Adgers Wharf and East Bay Street.) A dog park and the Hazel Parker Playground are directly across the street and provide pleasant views. For even better scenery, walk less than a block to Rainbow Row and Waterfront Park. 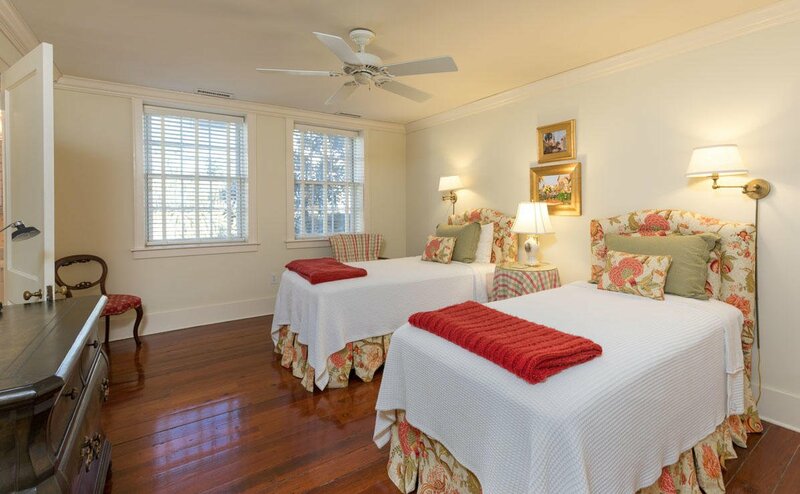 The Battery and shops and restaurants along Broad Street, East Bay Street and the Market are also just steps away. Or pick up a Holy Spokes bike right across the street. The history of South Adgers Wharf is as old as Charleston itself. The land originally belonged to Robert Tradd, the first English child born in the colony. He left it to Jacob Motte, the South Carolina Treasurer, who built a large wharf known as "Motte's Wharf" or "Motte's Bridge." In the mid 1800s, cotton warehouses and factors' offices were constructed. From here, James Adgers & Company operated the first steamship line between Charleston and New York, and lent his name to the current street. When port activities moved up the peninsula in the 1940s, the warehouse buildings were converted into homes and offices. Now you have the opportunity to live in one of these historic South of Broad residences in the heart of downtown Charleston.